Land Force (2c No Nay Never-Theann, by Rock Of Gibraltar) provided the biggest success so far for No Nay Never’s brilliant first crop when winning the G2 Richmond Stakes at Glorious Goodwood on Thursday. A Listed winner on his previous run, the Aidan O’Brien-trained colt was always prominent and took the lead at the two-furlong pole. 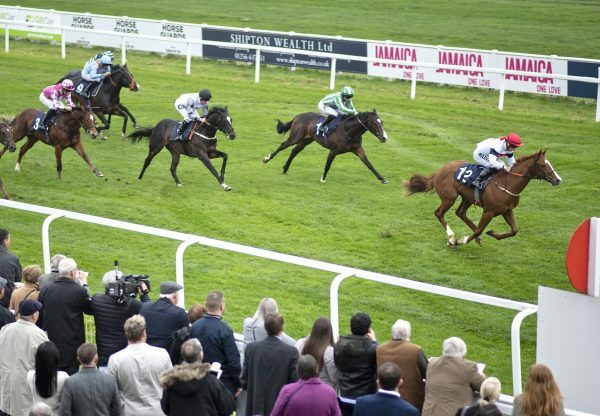 Land Force knuckled down well under Ryan Moore in the closing stages to fend off all challengers and score a shade cosily by a length from the Mark Johnston-trained Marie's Diamond (2c Footstepsinthesand-Sindiyma, by Kalanisi). Kevin Buckley, Coolmore's UK representative, added: "I'm absolutely over the moon. Land Force battled hard. Ryan was delighted with the performance. He got him into a nice position and he ran on well. "I think six furlongs at the moment could be his favoured trip. 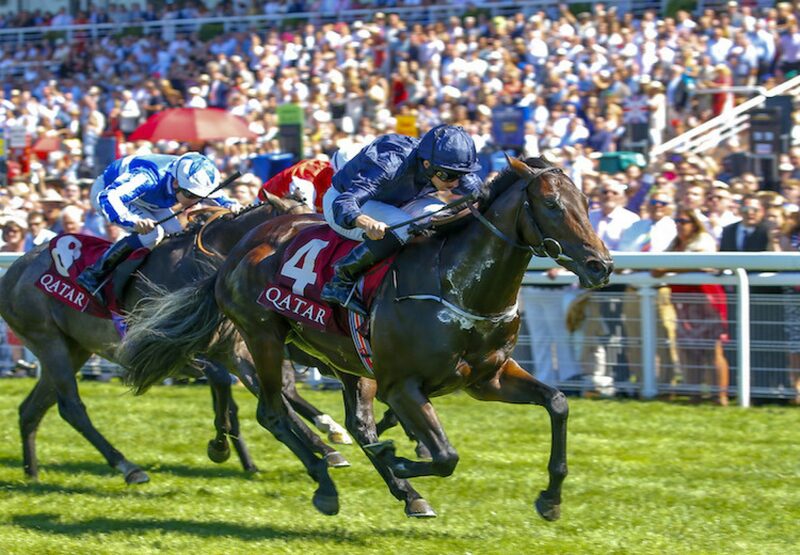 It's very exciting that he is by No Nay Never, who has got his first crop of two-year-olds this year and to have a G2 winner at a prestigious meeting at Goodwood is fantastic. 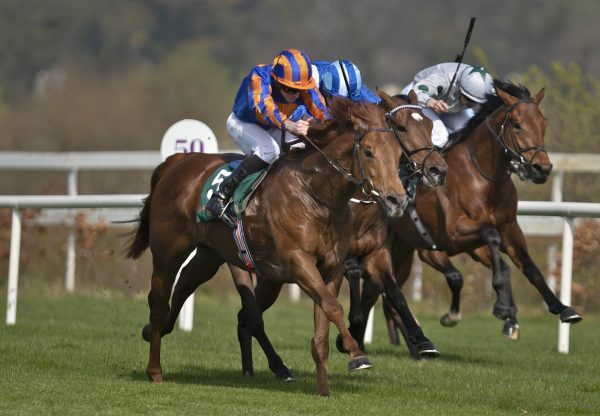 Runner-up Marie’s Diamond, winner of the G3 Anglesey Stakes at the Curragh, could bid to give Footstepsinthesand more G1 glory. 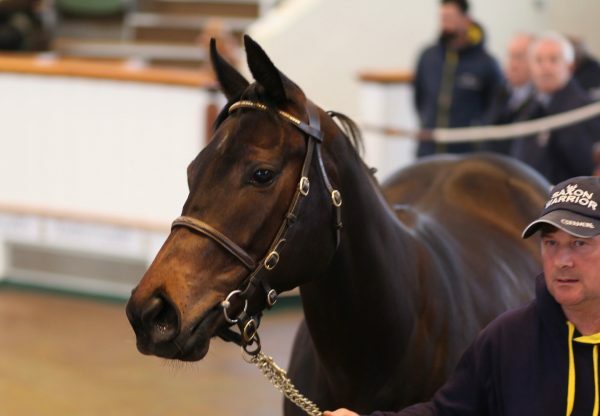 He was unsold at £675,000 at the Goodwood sale on Wednesday night, to the relief of trainer Mark Johnston. 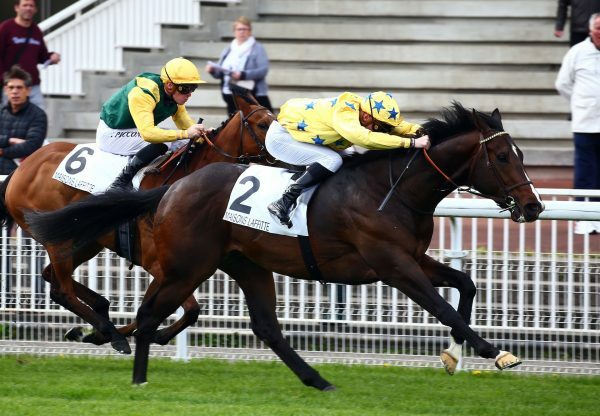 "We said seven furlongs next but, Silvestre (de Sousa) said no, a galloping track and six so it will probably be the G1 Prix Morny,” said Johnston. "For me I am pleased that the horse wasn't sold yesterday, I don't know if the new owner would have kept the horse with me or not. "Clearly, anything you send to the Prix Morny in August, if all goes well, will go for the 2,000 Guineas in May (next year). It is all a bit pie in the sky at the moment, but you have got to aim for that!"